For anyone who has ever considered investing — or knows that it’s something you should probably be doing, because it’s a Smart Adult Thing — the hardest part is arguably those first few steps. The investing world is full of intimidating strategies and nuances, on top of the whole new dictionary of language you probably don’t know. It can often feel like you’ll never catch up to people who are “actually good” at managing and maximizing their money, or that you might make one mistake that’ll wipe out all of your progress. But there are simple things that everyone can learn, which let you in on some of the basic techniques, and start the important work of demystifying the money world. Becoming a successful investor takes time, effort, and a lot of discipline, but keeping in mind these four basic investing techniques should help every beginning investor get off to a great start. Consistently timing the stock market is all but impossible, even for the professionals. (No matter what they say.) There’s always the risk that the market could drop shortly after you make an investment, and for a large, lump-sum purchase, that could mean a substantial drop in the value of your portfolio. 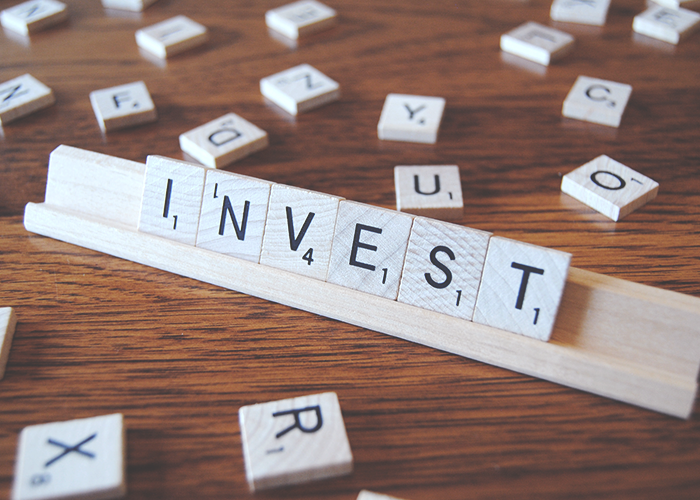 To avoid the perils of mistiming, investors should instead consider Dollar Cost Averaging, a technique that involves investing a fixed amount of money at regular intervals over a long period of time. Rather than accumulating savings and then sweeping a portion into your brokerage account every six months to buy a new stock, invest a fixed portion of each paycheck into that stock over that same six-month period. With that fixed amount, you’ll buy more shares when prices are low, and fewer when prices are high, lowering your average cost per share. Sure, if the stock price just continued to climb higher and higher over that period, you would have been better off investing a lump sum at the very beginning. But you could only know that in hindsight, and in the meanwhile, dollar cost averaging allowed you to limit your downside risk. If all of this sounds familiar, it’s probably because you’re likely already using this technique for your 401(k) contributions. While we mentioned stocks in our example above, commission fees for stock purchases often make dollar cost averaging prohibitively expensive for individual shares. Instead, use this technique for buying funds – both ETRADE and TD Ameritrade offer accounts with commission-free ETF trading. Whenever people cite long-term average returns of the stock market, they are likely talking about total returns, or returns assuming that all dividends are reinvested. Much like compound interest, dividend reinvestment is a powerful financial concept that allows gains and additional dividends not just on your original investment, but also on the dividends you receive along the way. That’s not to say that you need to use the dividends from a stock to purchase more of that same stock. But if you can, resist the temptation to withdraw that quarterly cash dividend, and instead put it back to work in your investment portfolio. Some online brokers even allow you to reinvest your dividends for free rather than paying a commission as you would for your other regular-way trading activity. Scottrade’s Flexible Reinvestment Program (or FRIP) allows you to commit a certain percentage of dividends received to buy one or more stocks or funds on set dates, commission-free. It’s basically automated Dollar Cost Averaging for your dividends, and is a way to avoid the commissions that can make purchasing a small amount of one or more individual stocks too expensive. Warren Buffett, a huge proponent of long-term investing and a wellspring of financial wisdom, advises that you should “only buy something that you’d be perfectly happy to hold if the market shut down for 10 years.” Choose your investments based on solid fundamentals and strong long-term prospects, not because you think a stock’s price is poised to rise only in the short-run. Markets and individual stock prices fluctuate over time, but keep your eye on the long-term, and invest in high-quality companies with consistent performance and experienced management teams. While you generally should avoid trying to time the market or capitalize on short-term fluctuations, always keep a cash reserve in your investment account so that you are ready to scoop up quality companies when others with short-term investment horizons overreact to bad news or temporary underperformance by dumping their shares and driving down share prices. I know, I know — diversification isn’t a “technique,” and by now you’ve been told over and over again how important it is never to forget this very fundamental concept. But creating a diversified portfolio is far easier in theory than it is in practice, and so it’s essential that you develop a strong risk awareness from the get-go. You’ll be better prepared to avoid snags that are likely to catch many a lesser investor who thought that diversification just meant “owning a bunch of different stocks,” which is what many people tend to think when they hear the phrase. Investing is not as complicated or as scary as it may seem, but it does require mastery of a few simple concepts, as well as the patience to make the better decision that yields less short-term satisfaction. But learning to navigate investment in a thoughtful way makes you a smarter and more discerning person, and much more intimately aware of the financial world around you. It can feel intimidating to make bets on the future, but we’ll all have to live there someday — better to come prepared.